HITS Scanning Solutions utilizes innovative technologies that create optimized documents to simplify their customer’s working environment. By primarily servicing the Healthcare industry and with their unique and extensive quality control checks, HITS has become a leader in document management. 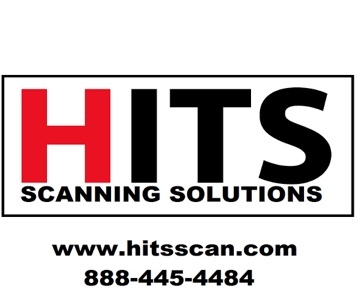 HITS offers paper scanning, microfilm conversion, monitoring strip scanning, and data migration. HITS also offers DocuMiner; a cutting-edge storage removal solution application and STR8VIEW, an innovative, secure, cloud-based document management system. HITS is ushering the Healthcare industry to a simplified paperless era.